Turkey is one of the most crowded and beautiful tourist destinations in the world. Turkey’s location is of great geostrategic importance as it is situated at the crossroads of Asia and Europe. Although Istanbul is considered to be the capital of Turkey, Ankara was declared as the capital of Turkey in 1923 after the war of independence. 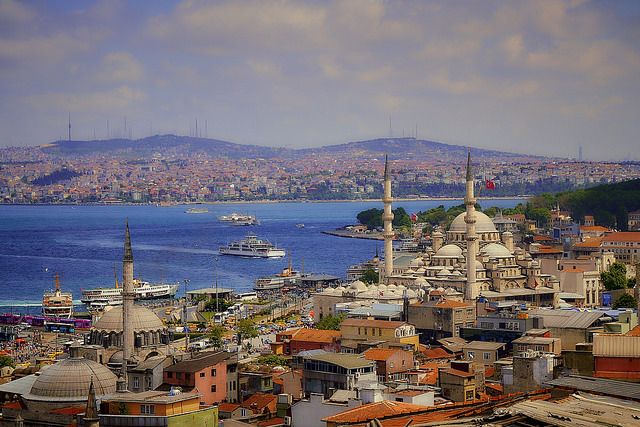 Istanbul is the only city in the world which is positioned in 2 continents. It is a modern city which appreciates its traditional roots in its architecture and way of living. The city has a lot of tourist attractions to offer. Blue mosque is a beautiful which was built during the rule of Sultan Ahmed I. It is called so because of the blue tiles adorning the walls of the mosque. If you’re looking for local spices, dry fruits and traditional Turkish delights then head over to the spice bazaar. It has over 85 shops. Aya Sofya is another tourist attraction in this city and a must in your Turkey itinerary planner, it was built as a church and then later converted to a mosque. It was built as a symbol of wealth in the king’s empire. 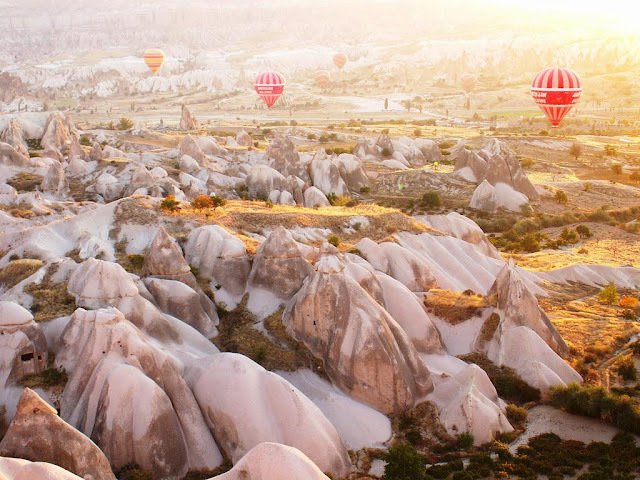 Cappadocia is one of the picturesque destinations in Turkey. It is located in the region of Central Anatolia in Nigde province in Turkey. It is popular for its natural rock formations. You can have a great view of the landscape from the sky in an air balloon. There are many hot air balloon services in this region. If you prefer going on a hike rather than having an aerial view, there are many hike-based tours available. The trails in the Rose and Red valleys contain hypnagogic ridges and surrounded by farm plots. An ancient Greek City located on the coast of Ionia in the Izmir province. The temple was built by Greek colonists in 10th century BC. It was destroyed in 268AD after an invasion by the Goths. It is uncertain if it was rebuilt later but, the ruins are a popular tourist attractions. It is also believed that the ‘seven sleepers’ used to reside near Ephesus for centuries. It is one of the most complete, still-standing Roman cities and gives a taste of what life would have been like during the Roman Empire. The meaning of Pamukkale is “cotton castle” in Turkish. 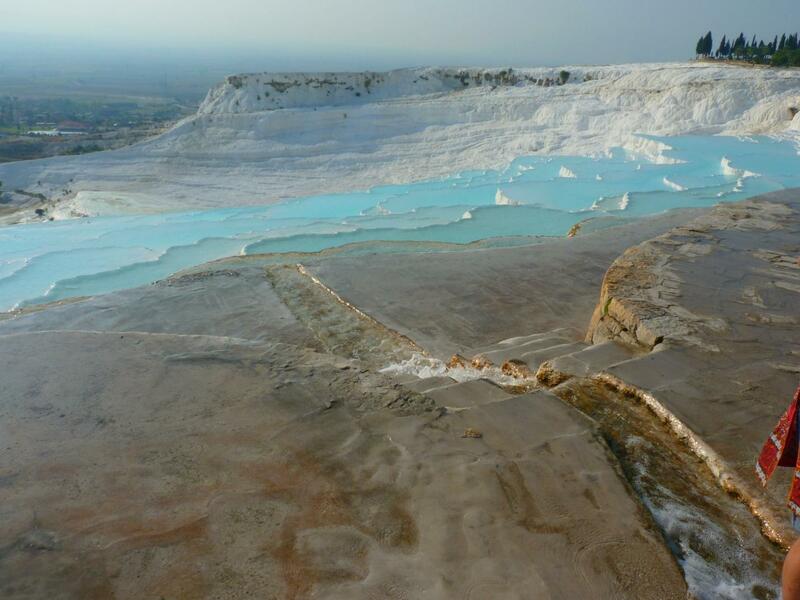 It is popular for its white travertine shelves and including this in your Turkey travel planner will make your day. The rock is deposited by water with high mineral content. The ruins of various Greek monuments can be seen here. People can bathe in the water. The water is also said to have the ability of curing diseases. It is also one of the most vital thermal centres of Turkey. There are many hotels in the region hence, accommodation will not be a problem. 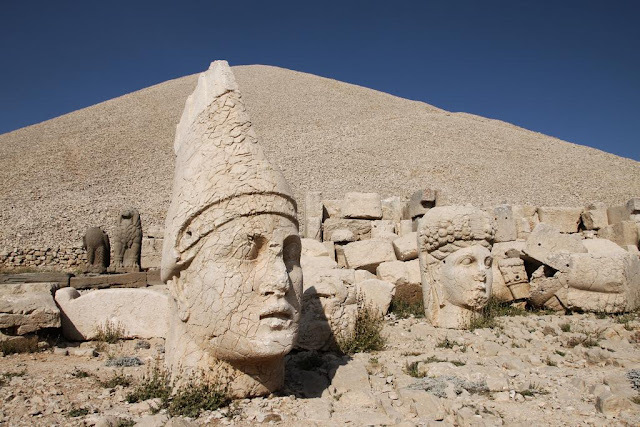 Mount Nemrut is located in Adiyaman city and is a 7000 feet tall mountain. It was built by King Antiochus I in 62 BC. He wanted to build a tomb-sanctuary for himself and surround it with statues of animals, Persian and Greek gods. The king was half Armenian and half Greek, hence the statues reflect more than one culture. Over the years, the heads of the statues have fallen off and are scattered all around the mountain. Another reason to visit this mountain is the great view it provides of the neighbouring mountains which is breath-taking at sunrise. Our friends just got back from Turkey. They loved the trip. 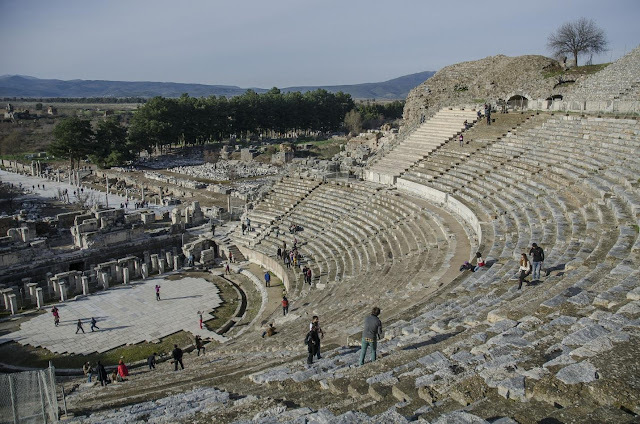 I would love to go to Ephesus! Turkey is high on our list! I haven't meet anyone yet that has visited there and not liked it. Fabulous country to do in a motorhome in the shoulder seasons too. We will have to remember that! It would be lovely to travel around Turkey in a motorhome. Well, that was a nice morning stroll! Another fun hike, with great views. Now *this* is a great campsite! Apparently Sherman is too old! Starting a two week holiday. Not according to plan, but still a good day.